The third part of the first-person shooter series, created and developed by Crytek studio and powered by their in-house technology - CryEngine. The story has been set in 2047, 24 years after the events of Crysis 2. 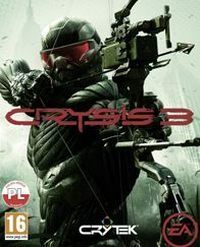 Crysis 3 for PC, X360 and PS3 is the third installment of a futuristic shooter in which the player wears technologically advanced nanosuit. The game has been developed by German studio Crytek famous for its excellent graphics engine, CryEngine. This epart takes the player to the year 2047. The main protagonist is Prophet, an owner of a nanosuit, who fights against an alien race called Ceph and the Cell corporation. A giant dome appears in New York because of the company. Inside there is a diverse microcosm, called Seven Wonders. Prophet decides to infiltrate this place to learn the truth about Cell’s plans and take revenge for earlier events. Crytek decided to prepare more diverse locations compared to previous installments. This time the players visit the aforementioned dome that includes seven different types of terrain – from dense forests of overgrown trees to swamps to the fast-flowing rivers. Such diversity enables to demonstrate the power of CryEngine 3 generating truly impressive images. Crysis 3 for PC, X360 and PS3 is still a pseudo-sandbox shooter with the advanced weapons being its core feature. A bow is a new toy handed over to the players. However, the game offers i.e. rapid-fire machine gun called Typhoon and plasma canon called Heavy Mortar. The developers also improved the nanosuit, i.e. an armor that guarantees extraordinary strength, durability and camouflage – it enables hacking selected elements of the environment and use them against the enemy. All these gadgets and options can be used in both solo campaign and expanded multiplayer mode. The Crysis 3 game guide contains a thorough description of how to beat the campaign mode, alongside with the additional mission objectives. It also includes the whereabouts of all hidden items and kits that can be used to upgrade the nano-suit.